As can be seen from the photo's these skates consist of a hollow profile (detail 3) with a shell shaped hull and backward running grooves (details 1 and 2). The idea was that there should always be two ribs making contact with the ice thus providing stability for the rider. Because the ribs are not sharp skating became merely gliding. 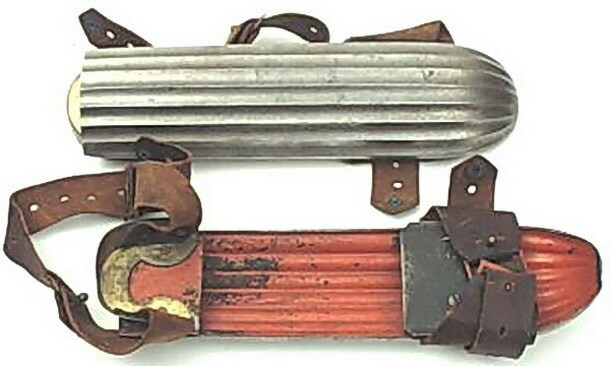 Maybe these skates were designed to be used on hard snow. The designer was the American H. Dutton who got a patent on them on April, 15 1862 (detail 4). Uncertain is if Dutton produced the skates himself. It seems that he sold them but had them made elsewhere.